As I sit to write this, my elder son is down with a terrible cough because the current weather isn’t good for his allergic rhinitis. My father-in-law too, has a bad cough and so does my house help. And, as you would have guessed from my croaking voice on Snapchat, so do I. The same is the case with several of my friends’ children who have been missing school due to cough and cold. The main culprit behind this is the increasing air pollution, which, coupled with the heat and humidity, causes several respiratory illnesses. The ones most susceptible, are of course, the kids as well as the senior citizens since their immune systems are weaker than ours. But let us not dismiss this as just “seasonal cough and cold”. 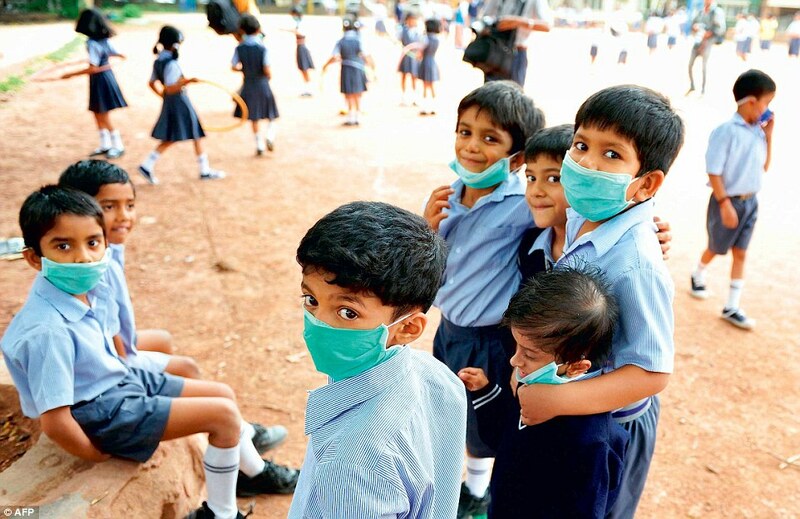 Air pollution is a big menace and is more harmful than we realise since it contains harmful amounts of noxious gases, dust, fumes and fine particles. The mere “cough and cold” has long-term ramifications that affect a child’s health and growth during the teens as well. One might think that once you’re indoors, you’re away from the pollution but you might be shocked to know that indoor air pollution is equally harmful. In some cases, even more! Several wall paints contain potentially harmful chemicals such as solvents and Volatile Organic Compounds. When the paint dries, these chemicals evaporate into the air – the very air that you breathe while you are at home. Formaldehyde – a very common chemical used widely in adhesives causes illnesses such as cough, irritation in the eyes, nose and throat, skin rashes and headaches. Furniture contains toxic PBDEs – chemicals used as flame retardants. These are capable of releasing toxins into the air and inhaling them harms the body in several different ways. Almost all of us use air fresheners at home but how many of us even try to decipher all the chemicals listed in their ingredients? Most air fresheners contain pthalates which are noxious chemicals known to disrupt hormone function in children and aggravate respiratory ailments . Candles too, can be equally harmful. Most candles – especially scented ones made with paraffin wax – contain benzene and toluene which are carcinogens. When these candles are burnt, they release toxic chemicals which add to the indoor air pollution. (Tip – buy soy or beeswax based candles that are scented with pure essential oils). Inkjet printers aren’t innocent either. Printing inks contain glymes which are known to cause developmental and reproductive damage. Household cleaning agents, personal care products, pesticides, hobby products and solvents all could contain harmful chemicals that could cause dizziness, nausea, allergic reactions and even respiratory illness. 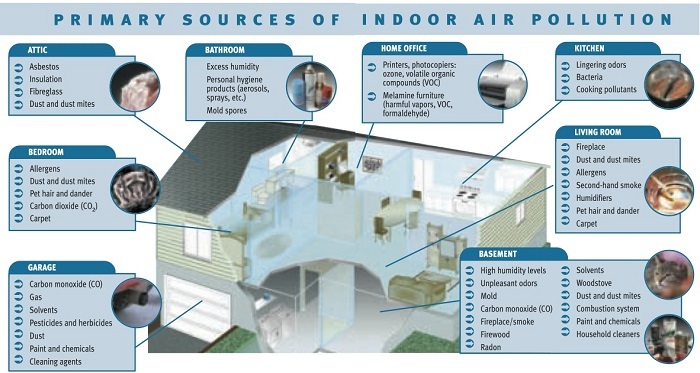 Besides these chemical pollutants, the house is home to several biological pollutants as molds, bacteria, viruses, pollen and dust mites, all of which contribute towards indoor pollution and cause respiratory illnesses. With the advent of the festive season, there is a rise in respiratory ailments because bursting of fire crackers adds to the already high levels of pollution in the air. One of the best gifts that one could give one’s loved ones would be fresh, healthy air. Since the health of my loved ones is my highest priority, I gifted them an early Diwali gift, the Dr. Aeroguard Air Purifier. Since getting the Dr. Aeroguard, I have also noticed that the quality of sleep the kids get is better. They wake up well-rested and fresher and I guess the credit for that goes to the cleaner air they breathe while sleeping. The Dr. Aeroguard range of air purifiers comes with several different models for room sizes varying from small 100sq.ft office cubicles to 1100 sq.ft rooms so there is sure to be one to fit your requirements. If like me, you too are concerned about the health of your loved ones or worried about them getting frequent coughs and colds, then, this Diwali, give the gift of healthy air – gift them the Eureka Forbes Dr. Aeroguard range of air purifiers.